A container full of ammunition is offloaded from U.S. Lance Cpl. Roy M. Wheat, Nordenham, Germany. The United States last month sent its largest shipment of ammunition to Europe in more than two decades. Some 620 containers were shipped by train from a port in Nordenham, Germany, to Miesau Army Depot, the largest ammunition storage area outside the U.S.
“It’s another example of the commitment of the United States to security and stability in Europe,” Lt. Gen. Ben Hodges, commanding general of U.S. Army Europe, said. “So it’s another way that Germany contributed to deterrence… by enabling the movement of ammunition and equipment inside Germany for the United States Army,” Hodges added. Ammunition costs $800,000 for each shell! While General Hodges was pandering to Germany – one of the richest nations in the world, boasting wages far higher than in this country – the Navy was deciding not to fire any practice shots from its guns on their new USS Zumwalt class of destroyers. Just five weeks after commissioning the USS Zumwalt, the U.S. Navy said it is canceling ammunition specially developed for the ship’s high-tech gun systems, because the rounds cost $800,000 each. The guns, tailor-made for the destroyer, will be unable to fire until the Navy chooses a cheaper replacement round. The guns were designed to fire the advanced Long Range Land Attack Projectile, a GPS guided shell with a range of 60 miles.Two Advanced Gun System howitzers are fed by a magazine containing 600 rounds of ammunition, making it capable destroying hundreds of targets at a rate of up to ten per minute. The smaller Mk. 45 5-inch gun, standard on Navy destroyers and cruisers, fires an unguided round with a range of 21 miles. Each round costs between $1,600 and $2,200. Assuming $2,000 average cost, a magazine of 600 would cost $1.2 million, still lots of money, but far from $480 million. We have the money to arm Europe with ammo, but not the U.S.
Taxpayers are being raped by insane expenses like $800,000 for one shell. UPDATE NOV. 23: The US Navy’s newest destroyer broke down while transiting the Panama Canal, colliding with the Canal lock walls and forcing the $4 billion dollar ship to resort to a tow from a tugboat. The USS Zumwalt was towed to a former U.S. naval station in Panama where it will undergo emergency repairs. This is just months after a similar incident in September. 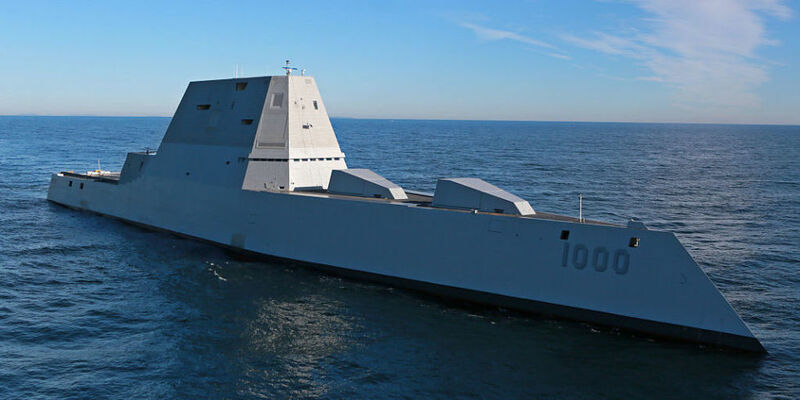 USS Zumwalt lost propulsion in its port shaft during the transit and the crew saw water intrusion in two of the four bearings that connect to Zumwalt’s port and starboard Advanced Induction Motors (AIMs) to the drive shafts. Swiss want Jews to pay up for defense against hate attackers.